The highly configurable pressure controller model CPC6050 modular pressure controller offers maximum flexibility to best suit the customers’ requirements. The pressure controller can have up to two independent pressure regulating channels which can operate simultaneously. Each channel can have up to two sensors. 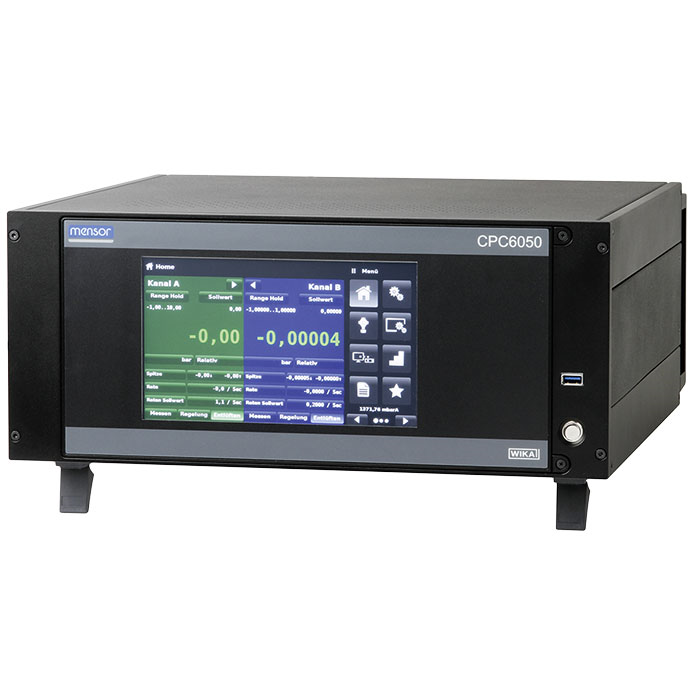 The instrument can also have an optional barometric reference for gauge or absolute pressure emulation. This instrument can be specified as a desktop or as 19" rack-mounting kit. The pressure controller offers many applications within calibration laboratories and production environments because of its pressure range -1 … 210 bar (-15 … 3,045 psi) and accuracy down to 0.01 % IS-50. Its ability to control pressures as low as 25 mbar (10" of H20) with a high stability makes it the ideal calibration and verification solution for healthcare and aerospace industries. 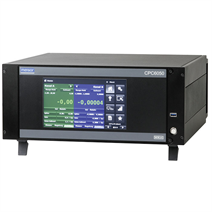 Simultaneous calibration channels along with interchangeable plug-and-play pressure sensors and an intuitive GUI makes the pressure controller CPC6050 an easy-to-use and maintain instrument. The touchscreen, along with an intuitive user interface, provide maximum ease-of-use. The large number of menu languages add to its operability. In addition to specifying a certain pressure set point either by entering it via touchscreen or sending it via remote interface, the pressure can be changed in defined, programmable step sizes by using the STEP buttons. Moreover, the user can also easily create extensive test programs using the instrument menu. Depending on the application, the rate of control can be either pre-set precision, high speed or a user-defined variable rate. The WIKA-CAL calibration software enables the convenient calibration of pressure measuring instruments and the generation of test certificates. Additionally, the pressure controller can also be remotely controlled using the serial command formats, the Mensor standard, SCPI or further optional command sets are available.